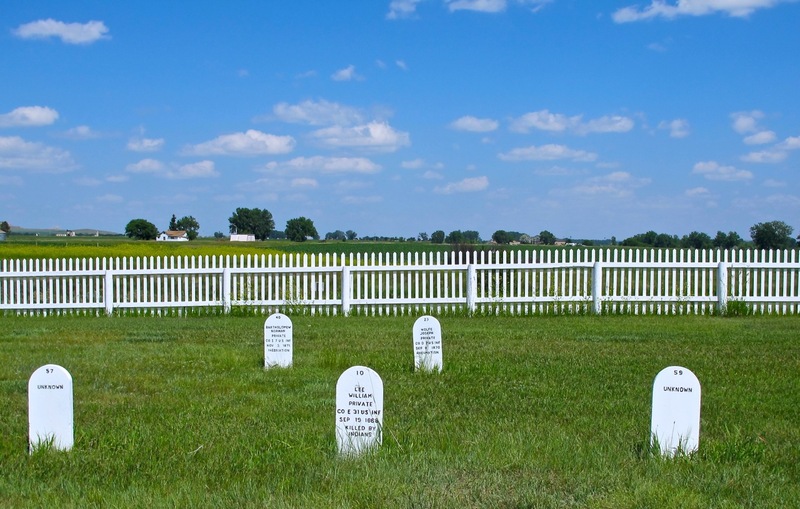 We tramped through the old cemetery at Fort Buford State Historic Site (southwest of Williston, North Dakota) today for a look back in Western history. Fort Buford is probably best remember as the site where Sitting Bull surrendered in 1881, bringing an end to the Sioux Indian Wars. An active military fort from 1866-1895, Buford had hospital facilities. However, it’s interesting to note that the majority of deaths were not due to enemy warfare but disease (brain “abcess”, Bright’s Disease, mumps, acute gastritis, pneumonia, typhoid fever, consumption) or mis-spent life style (murdered, drowned, killed by road agents, inebriation, shot by accident, poisoned, suicide). 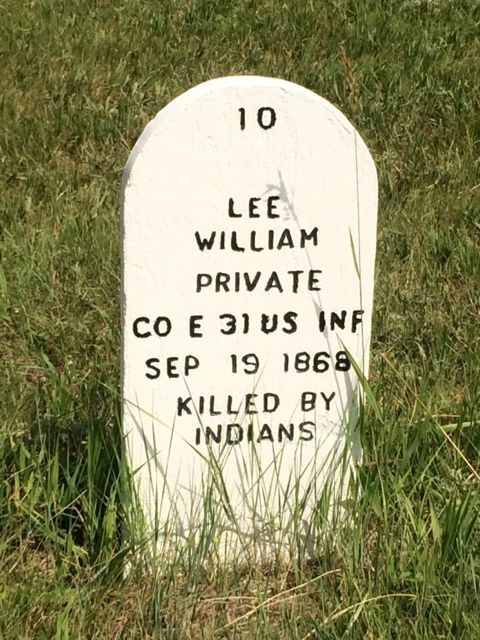 Non-military “citizens” and Indians were also laid to rest. For instance, “HE THAT KILLS HIS ENEMIES SCOUT” died of wounds. Today only eight burials remain. 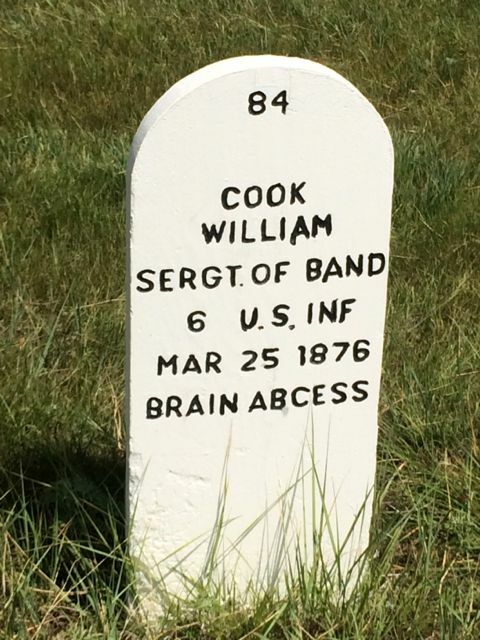 The military burials were moved to Little Bighorn Battlefield National Cemetery, Montana, in 1896. The markers we see today were restored in 1980 by the Fort Buford 6th Infantry Association. Through their efforts we have a better understanding of life – and death – on the Western frontier.